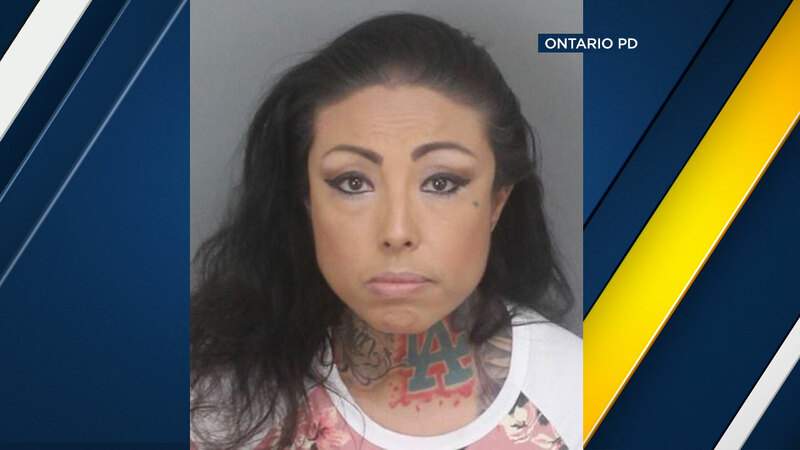 ONTARIO, Calif. -- Ontario police arrested a 34-year-old mother for allegedly leaving her young children in a hot car with no air-conditioning for at least 30 minutes while she shopped at Walmart during this weekend's heat wave. Police say Crystal Reyna Gonzales, 34, of Fontana left her children locked inside her GMC SUV in the parking lot of the Walmart at 1333 N. Mountain Ave. on Sunday. Police said one child was about nine months old and the other was a 1-year-old. While the temperature outside at that time was in the 90s, police estimate it climbed to 109 to 122 degrees inside the locked vehicle with no air conditioning. The children were discovered in the vehicle by a passerby and police were called to the store around 7:44 p.m.
Police found the vehicle was not running and the air-conditioning was off. The children were locked inside the vehicle and appeared to be in distress, police said. As police and firefighters were working to remove the children from the car, their mother showed up. "She said she just went in for a moment, but it was clearly a lot longer than that because those children were very sweaty and very distressed and crying heavily, and very upset by what they had been through," said Det. Melissa Ramirez with the Ontario Police Department. The children were given medical attention and released to Child Protective Services. Gonzales was arrested and charged with child endangerment. She was later released on bail. "There's no excuse to leave two children in a car unoccupied without any adult supervision and no air conditioning, especially in that type of heat," Ramirez said. "That's reckless and that could have cost them their lives."